AS I sat at a computer on my first day of work experience on a local newspaper, my phone buzzed. An email appeared reading “British Council Language Teaching Assistant Placement”. It was an email I had waited on for months to find out which school I’d be working at and where I would live during my university Erasmus year abroad. 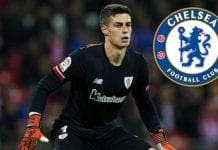 All hopes pinned on my first choice of Valencia, I opened the email crossing my fingers. Sestao. What? Where on earth is that? 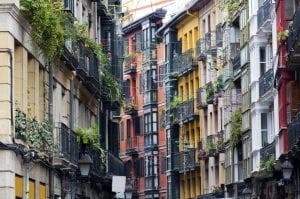 A Google search showed an overcast industrial town in the the Basque Country, with cranes and run down grey buildings. My heart sank. Hardly the sangria on the beach experience I’d hoped for. A disappointed 21-year-old me went home in tears fearing I’d spend the year stuck in a miserable town with no friends. Thankfully it was 40 minutes from Bilbao on the metro but the relatively unexplored city’s reviews back then were not as glowing as they are now. I read of constant rain, ETA terrorism, the cold nature of Basque people, heavy metal independence music and language barriers. The only saving grace, it seemed, was the cuisine. “Well it can’t rain as much as Manchester does,” said my mum in a bid to cheer me up as rain battered on the windows. So off we went, my life packed in two suitcases and mum ever supportively in tow. But neither of us were prepared for the breathtaking beauty and quirkiness my new home offered – and the fabulous bargain Zara jackets. 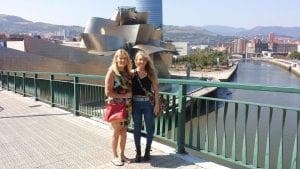 We immediately fell in love with the boho shops and the 18th century architecture of the old town, drinking cafe con leche on the sparkling riverfront, befriending local waiters in an Art Deco bar, stuffing our faces with raw seafood pintxos and snapping pictures with the Guggenheim’s 40-foot flowered guard dog, Puppy. 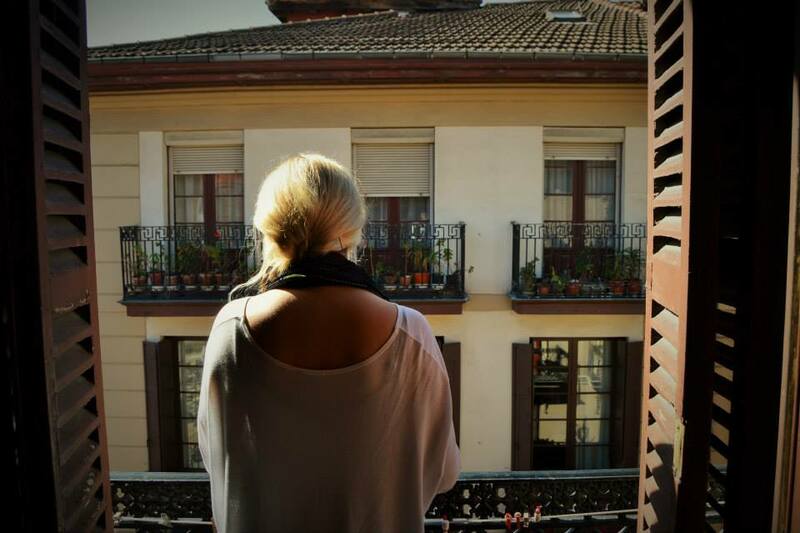 And it was third time lucky when I bagged a room in the heart of the Casco Viejo, in an iconic red building which features on many of Bilbao’s postcards, with Zara visible from my balcony. Gold. 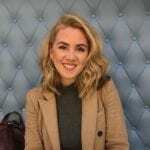 The luck continued when I met my flatmates, a hilarious mix of Spanish and English students, with whom I spent the year travelling across Spain. 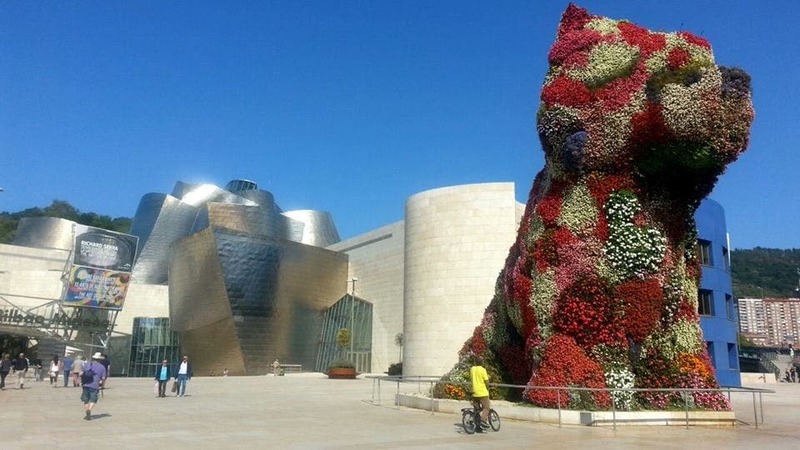 In a city surrounded by mountains, divided by a river, where old architecture meets modern, and a stone’s throw away from charming medieval towns, it’s not hard to see why Bilbao was awarded Best European City 2018.
are changed by hand twice a year. I recommend taking a scenic walk alongside the Nervion River, before taking the lift up the bold Arcos Rojos bridge where the views are spectacular. Check out Art After Dark – a cool monthly event held at the museum where you can party alongside exhibitions to Spain’s biggest house DJs. 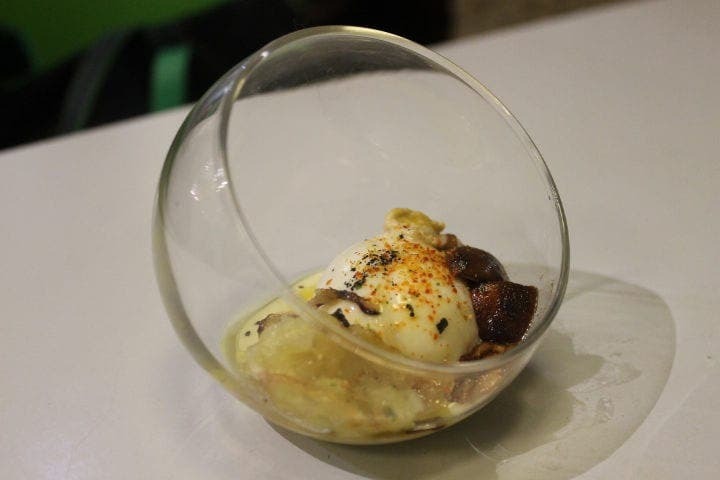 If you still can’t get enough of the Gugg, sample a variety of tasting menus at Josean Alija’s iconic one Michelin star restaurant, Nerua, housed downstairs. impressive cultural hub, Alhondiga – try their bacalao al pil pil which won Best Cod in 2004 or enjoy the views with a cocktail from the swanky rooftop bar. But don’t forget the 110-year-old Museo de Bellas Artes with masterpieces by Goya, El Greco and Sorolla. From there stroll through plush Parque Casilda Iturrizar, dubbed “Parque de los Patos”, and spot ducks, swans and peacocks roaming the classic carousel and fountains. Next head down to the stunning Casco Viejo and pintxo hop around Plaza Unamuno and Plaza Nueva. 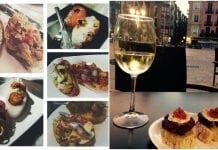 Head to Sorginzulo a cave-like bar for some of Bilbao’s most innovative pintxos, try famous calamares at Cafe Bar Bilbao, or try Bizkaia’s Best Pintxo 2015 – the Sopa de Idiazabal, cheese, egg and mushroom soup at Gure Toki. To work off the calories, take the steps to Parque Etxebarria and watch the sun set over the city. 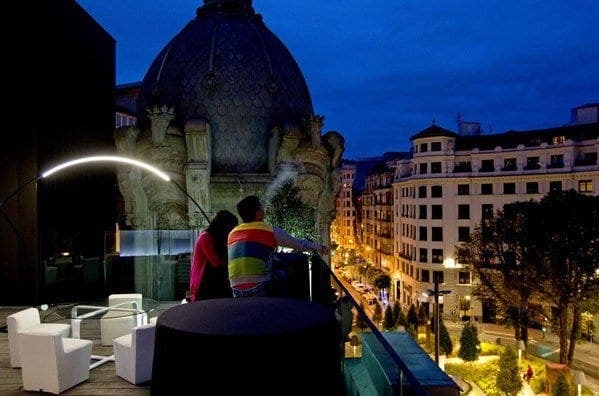 Spend a day wandering the streets of the old town and stumble across the stunning Bilbao Cathedral, get lost down Siete Calles, enjoy fresh produce and live music on a Friday night at the Mercado de la Ribera, and pintxo hop and glug Kalimotxo (red wine and coke) before exploring hippy shops until the early hours on Calle Somera. 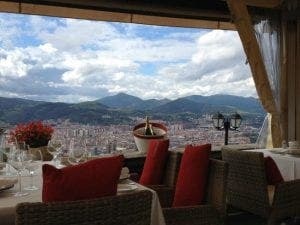 For just €3.25 and the best views of Bilbao, head up the Funicular de Artxanda (cable car) for panoramic mountain views and head to the cosy Restaurante Txakoli, a former shepherd and mountaineer hub, or to Kate Zaharra where you can sample over 1,000 wines from its bodega or try rare percebes (gooseneck barnacles) and lobster platters. Book tickets to see the Basque Country’s famous Athletic Bilbao football team in action at San Mames stadium before walking to Calle Pozas – a late-night drinking and pintxo street – and tuck into every variation of tortilla imaginable at Zaharra. If the weather permits (trust me it doesn’t rain all the time) take the metro to Playa de Plentzia, an untouched beach near the mouth of the Ibaizabal estuary. Then catch the metro to the UNESCO-protected 1893 Vizcaya Bridge – the first bridge in the world to carry people and traffic on a high suspended gondola, or marvel at the timewarp of old white sailor cottages in Getxo’s Puerto Viejo. And if you’ve got extra time, hop on a bus to nearby gems San Sebastian, Pamplona, La Rioja or make the epic 241-stepped hike up to San Juan de Gaztelugatxe (“castle rock” in Basque) and ring the bell three times to make a wish. Legend has it the famous Game of Thrones filming location once welcomed witches, knights and even John the Baptist. 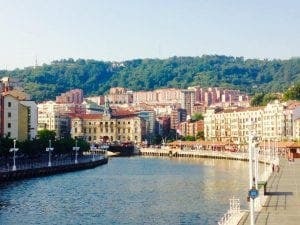 Looking back on my anxiety at the thought of moving to Bilbao is laughable – a place that has become one of my favourite cities in the world and inspired my brother to move there after I left. Yes it does rain, but like my mum said, not as much as Manchester.